Starring: Jeff Bridges, Maggie Gyllenhaal, Colin Farrell, Robert Duvall, Beth Grant, Tom Bower. 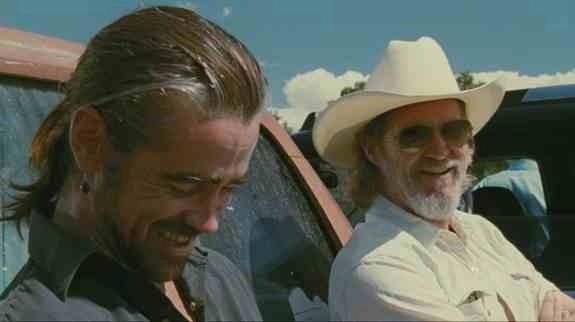 Jeff Bridges is one of cinema’s most underrated of actors (and one of my personal favourites). He had been nominated for an Oscar four times (“The Last Picture Show” in 1971; “Thunderbolt and Lightfoot” in 1974; “Starman” in 1984 and “The Contender” in 2000). He finally won his elusive Award with this film and on this evidence, it was a thoroughly deserved win – he was subsequently nominated for “True Grit” a year after this triumph. “Bad Blake” (Bridges) is a washed up country and western singer, down on his luck and reduced to playing small gigs to make ends meet. He has a bad attitude, an even worse drinking habit and has been on a self-destructive path for years, but while playing a gig in a small New Mexico town, he agrees to an interview with a young journalist (Maggie Gyllenhaal). This leads to a romantic relationship and hope for Bad Blake to turn his life around. Writer/director Scott Cooper has (in his first film) produced a slow moving character study, in which Bridges completely immerses himself. Unfortunately, the film as a whole doesn’t do Bridges justice. It descends into cliche and the integral romantic relationship between the two leads is unconvincing. The story had actually been covered a couple of years previously – with grittier and more realistic results – in “The Wrestler” with Mickey Rourke. That’s not to take away from Bridges’ gritty and realistic anchoring role though. He is marvellously empathetic and highly realistic in his portrayal of a character that has reached a real low point in his life. 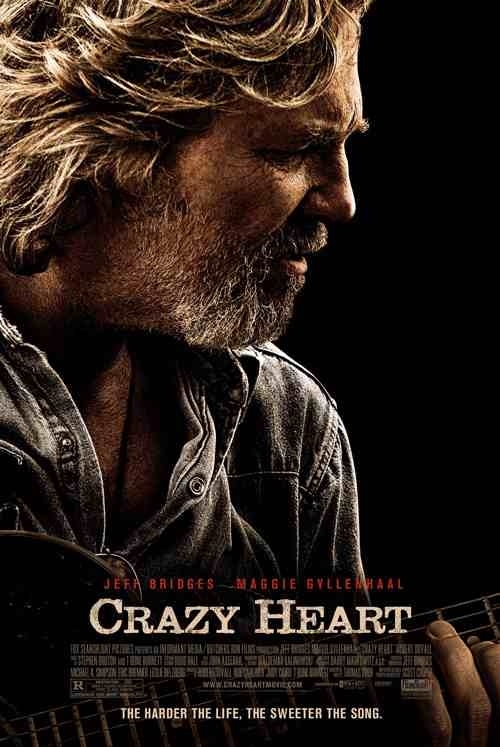 It’s not a 5 star film – it has too many flaws for that – but it’s definitely a 5 star performance from the always reliable and under appreciated Jeff Bridges. An actor of such calibre deserves recognition and although this doesn’t stand alone as his finest moment – there are too many for that – it at the very least gives him centre stage to display his talent. Bravo Bridges. This entry was posted on January 23, 2012 at 9:18 pm and is filed under Drama, Music, Romance with tags 2009. You can follow any responses to this entry through the RSS 2.0 feed. You can leave a response, or trackback from your own site.